What many people fail to recognise is the fact that one of the earliest forms of entertainment in the world is gambling. 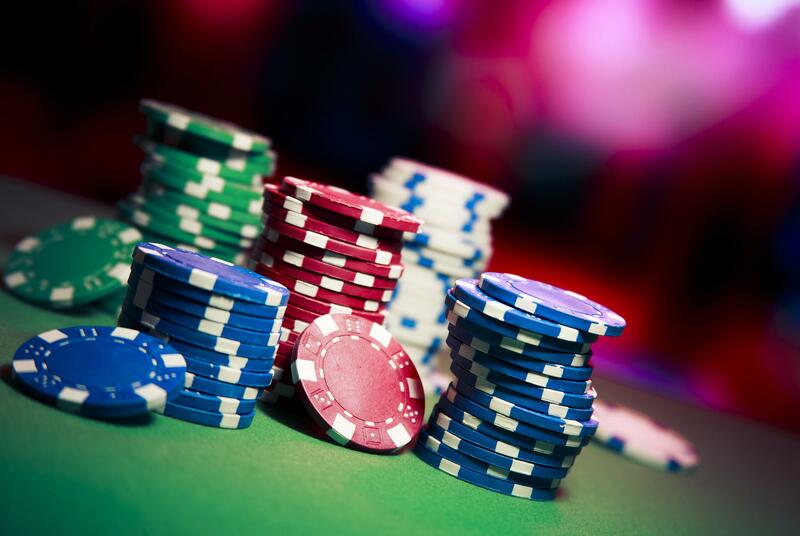 There is evidence of existence of gambling activities in ancient civilizations and turns out gambling, the thing that scares us so much these days, is something that has been around for centuries. According to the information provided in the popular encyclopaedia Britannica, gambling was regulated and severely curtailed in the laws of Rome and ancient China. Additionally, in ancient Egypt incurable gamblers were sentenced to forced labour. Gambling in its basic form was a point of interest to ancient Greeks too, while the Minoan civilization is believed to be the one that first introduced games similar to poker. It is believed that China is the cradle of playing cards and inventing cards. The Chinese civilization is responsible for the existence of paper and that led them to coming up with the idea of paper money. Soon enough they learned how to shuffle paper money and that is how the practice of shuffling cards was born. The most commonly related game to China is keno. Keno is played with cards that have numbers from 1 to 80 in squares. Players were allowed to choose a set of numbers and then a draw would take place to identify the winning numbers. The origin of keno goes back to 2,000 years ago and certain findings show that the game was initially called “white pigeon ticket.” By 900 AD it is believed that China come up with card games decorated with human forms. This later became a huge trend in Europe as well. However, Europeans changed the design in order to show off Kings and Queens that are still used in modern decks. Gambling was definitely present in ancient Greece; however, there were split opinions whether activities of this kind should be forbidden or not. A research by casinoshortlist.org on the topic showed that many Greek philosophers strongly opposed the idea of gambling and even claimed that this activity would become a plague. Nevertheless, liked it or not, gambling had not one, but two Gods on its side. Hermes and Pan, important figures in Greek mythology, are known for taking part in gambling, whereas some stories mention Hades, Poseidon and Zeus throwing dice in order to split the Universe between them. Two popular games that were played by ancient Greeks are checkers and heads and tails. Checkers was at the time called tilia, while in Roman era it got the name “game of 12 lines.” Head and tails were first played with a shell and later it evolved in people using a coin instead. Furthermore, many Greek artefacts reveal scenes of betting; people bet on animal fights such as dog, chicken and bird fights. Finally, Greeks loved their dice. According to many researches, people in ancient Greece used three clay cubes, while Romans reduced it to two. Native Americans Had Ancient Casinos in Caves? Very recently Archaeologist found a cave in Utah that is believed to be an ancient casino used by Native Americans. 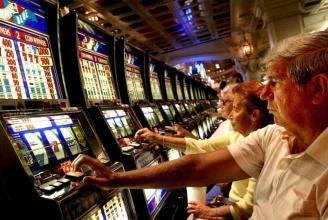 This might be the first casino established on US territory and findings show that it dates back to the 13th century. Researchers at the time revealed that the cave might contain as many as 10,000 objects that are connected to gambling in one way of another. Among the things that were found there were carved sticks. Ancient Native American gamblers would throw the sticks and guess whether they land face-up or face-down. In the thorough research study, archaeologists claimed that the main users of these gambling sticks were women who used gambling as a way of assigning various tasks. John Ives, an archaeologist at the University of Alberta who worked at the site, said that the cane dice were used for assigning day-to-day activities such as “hide and meat preparation, sewing” and etc. 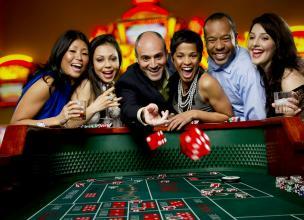 However, even though women were the ones to gamble with the sticks, men also took part in gambling activities. For example, they were placing bets on the outcomes of the gambling “sessions” in which the women participated. It has to be pointed out that ancient Emperors are known for enjoying gambling quite a lot. For example, Emperor Augustus is believed to having suffered from heavy gambling losses; he is known as a tireless gambler who was at the verge of addiction. Emperor Commodus also had bad gambling habits and he once even went bankrupt. Emperor Nero is another example of prominent figure that enjoyed gambling and sporting activities. However, there is not much information about the games they were playing at the time. Most probably, they were throwing the dice, which was pretty popular those days, as well as bet on various outcomes (sports events, fights and etc. ).